The Steps Template is perfect for creating content to explain a new process or procedure. If the steps involved are designed to teach a practical or hands on process, the Steps Template lets Participants observe and review a procedure before trying it themselves. Using photos or images in your template can make your content more effective and engaging. 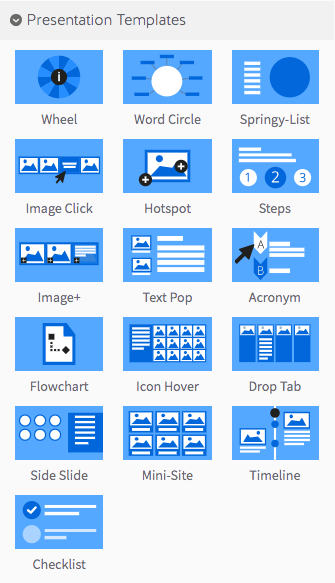 Step 1: Select the Steps Template from the ‘Presentation’ panel. Step 2: Drag your Steps Template into the Lesson Pathway. Note: You can select a colour for your new template’s background area using the ‘Stage Colour’ picker. Underneath the colour picker you can also decide if you would like to include numbered steps in the pagination. If you select this option, the buttons that your participants select to move between each step will be numbered. Step 6: To start building your Steps Template, select the green ‘Add New Item’ button. Step 7: Select a template for your step. Images can be aligned to the left or right of the text for each step, or behind the text as a background image. 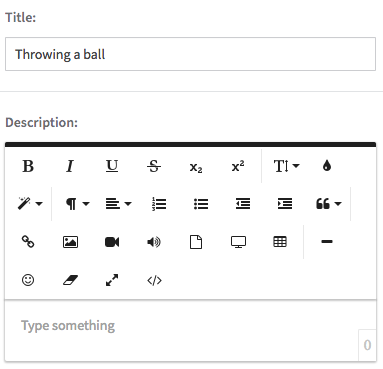 Step 8: After selecting a layout, give step a title and description. 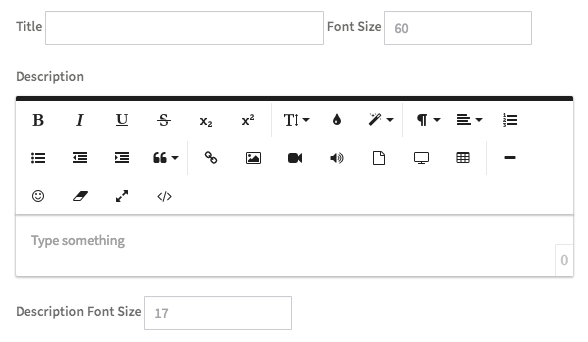 You can adjust both of these font sizes if you need to, but we think the default settings work pretty well – unless you’ve got a lot of text. Step 9: You can add an image using the ‘Add Image’ button. Image Tips: Our suggestions for image size in the Steps Template depend on the layout you chose in Step 7. For the ‘Image Left’ or ‘Image Right’ options, we recommend using images sized at 400 x 550 pixels. If you chose a full background image, we recommend selecting an image sized at 1170 x 550 pixels. Step 10: When you’re finished with your step, click the green checkmark button.